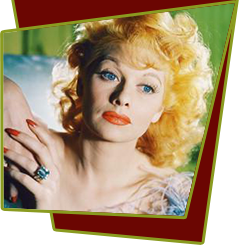 Lucille Ball essays the old Twelvetrees role as Lucy, a nightclub "hostess" stranded in Panama by her ex-lover Roy (Donald Briggs). Victimized by a shakedown orchestrated by Roy, oil rigger McTeague (Allan Lane) holds Lucy responsible. To avoid landing in jail, Lucy agrees to accompany McTeague to his oil camp as his housekeeper. Assuming she's been brought to this godforsaken spot for sexual purposes, Lucy eventually realizes that McTeague's intentions are honorable: All he wants is his money back, and he expects our heroine to work off the debt on her feet! Ultimately Lucy and McTeague fall in love, but not before the scurrilous Roy re-enters her life. Special Notes: Panama Lady is a cleaned-up remake of the 1932 Helen Twelvetrees vehicle Panama Flo.